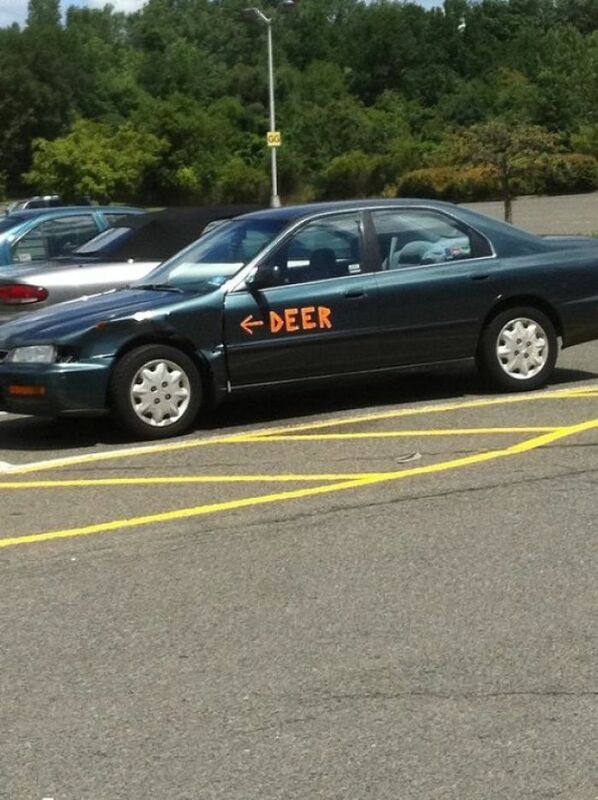 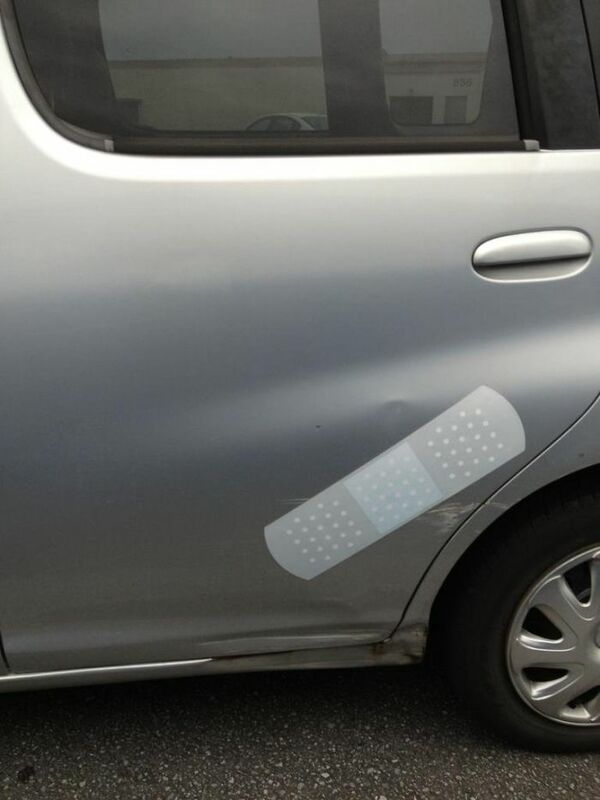 That’s why some people decide to look for alternatives, alternatives that require one to embrace the dent in your car. 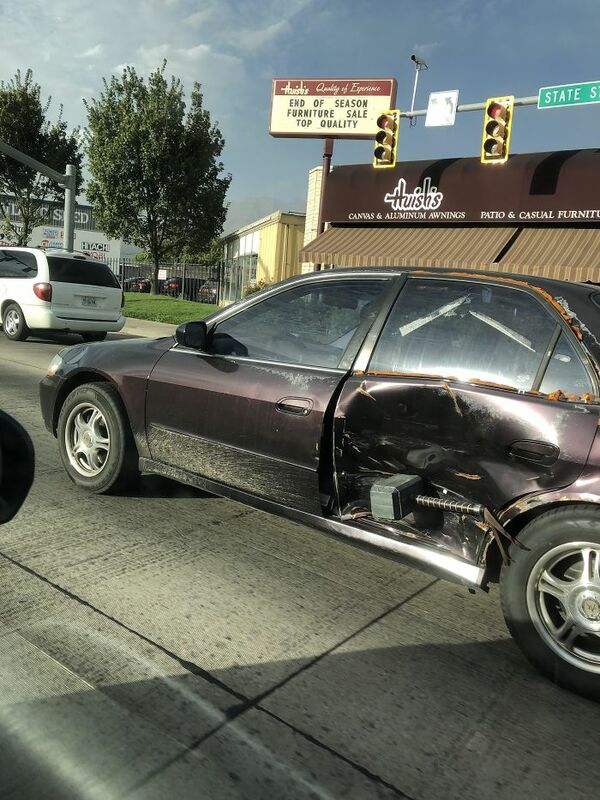 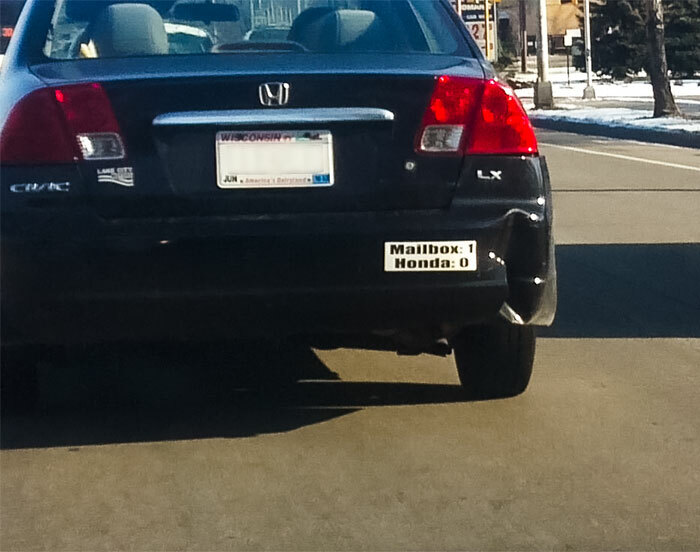 I mean, if it still drives, what’s a bit of cosmetic damage? 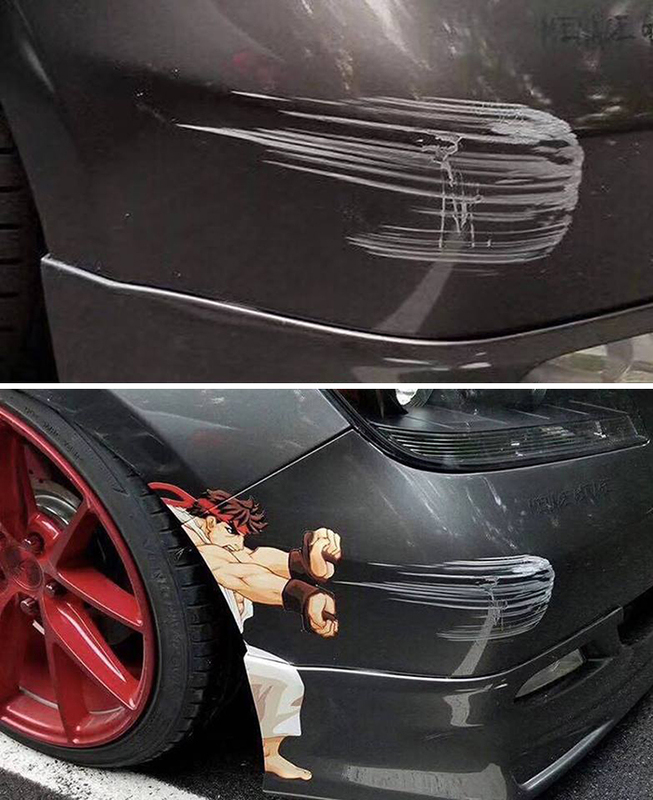 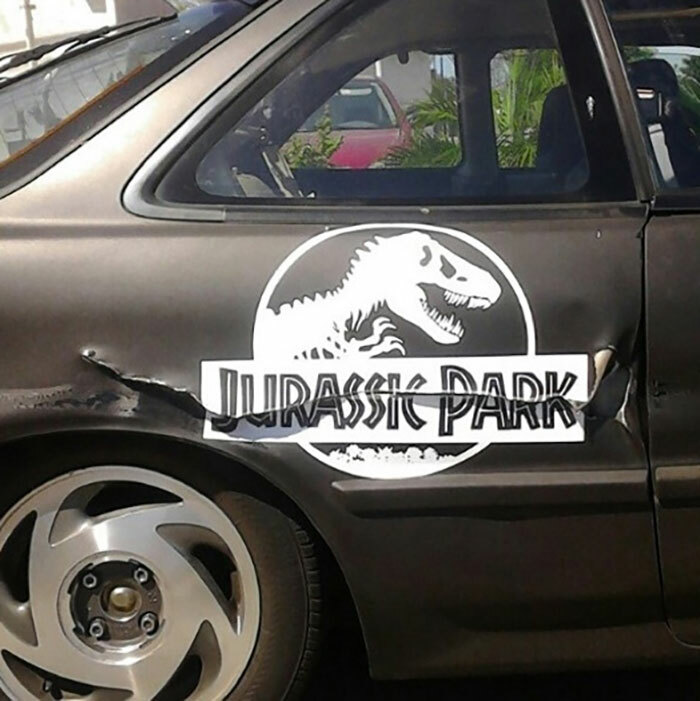 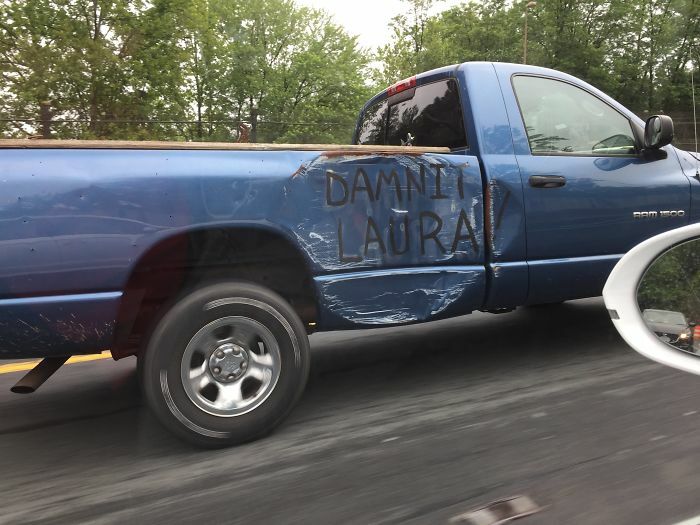 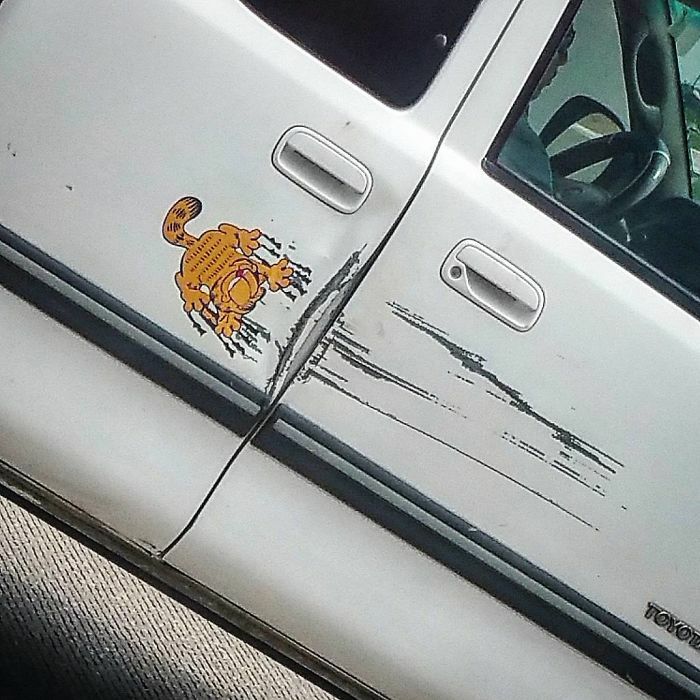 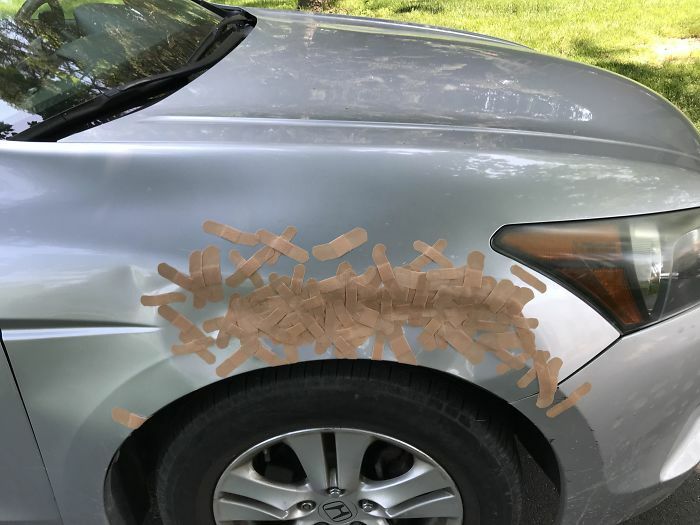 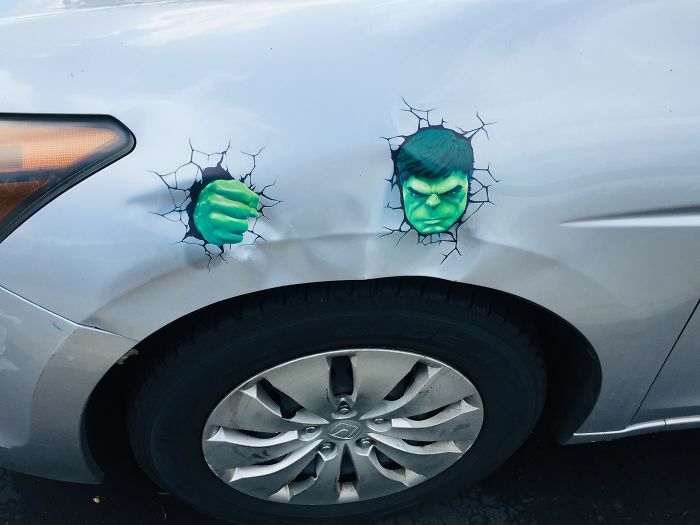 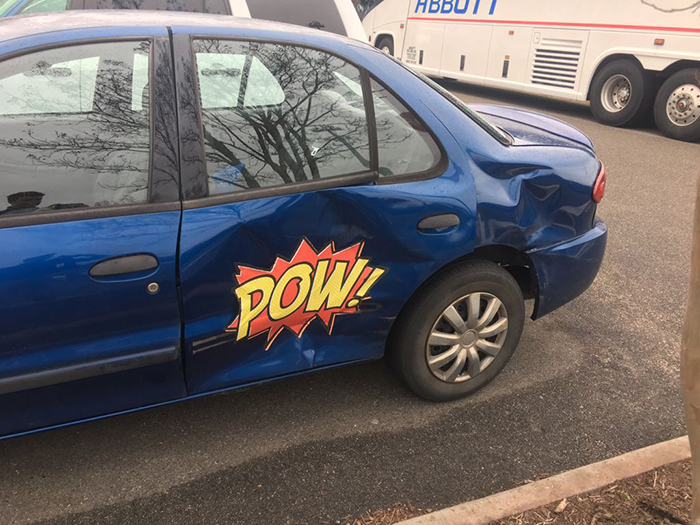 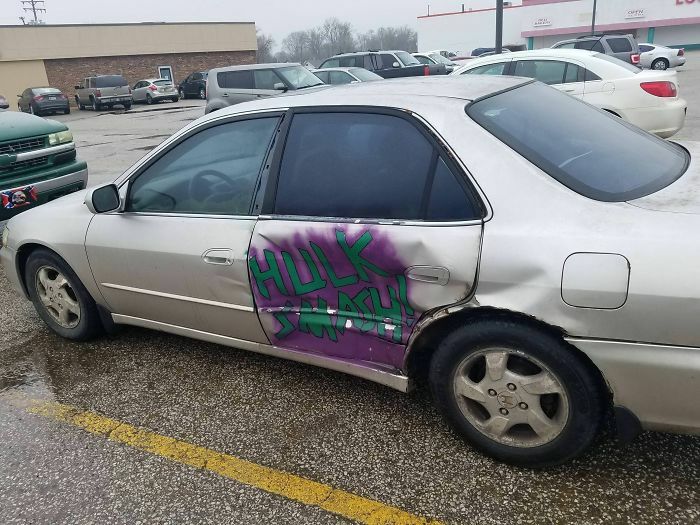 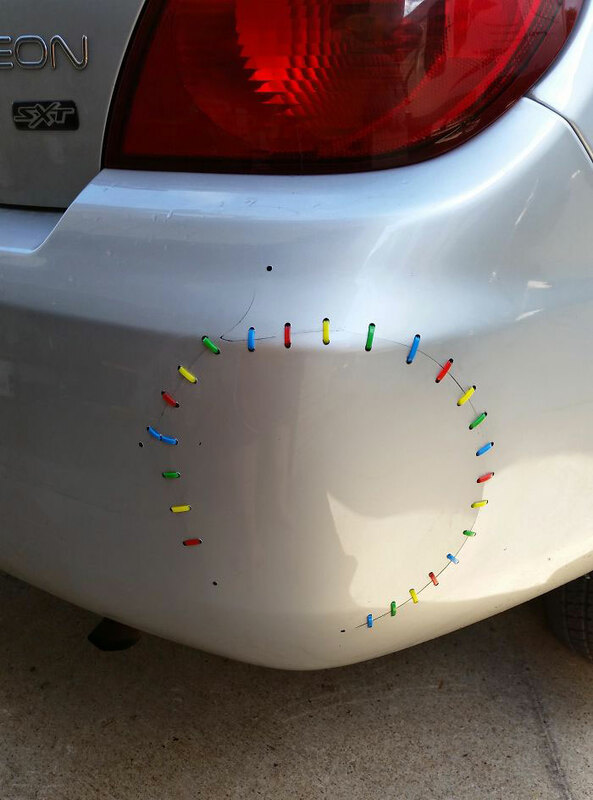 There are myriad ways to tastefully (or not) incorporate imperfections on your vehicle, creative and funny works of art that can sometimes make the car look even better than it did before. 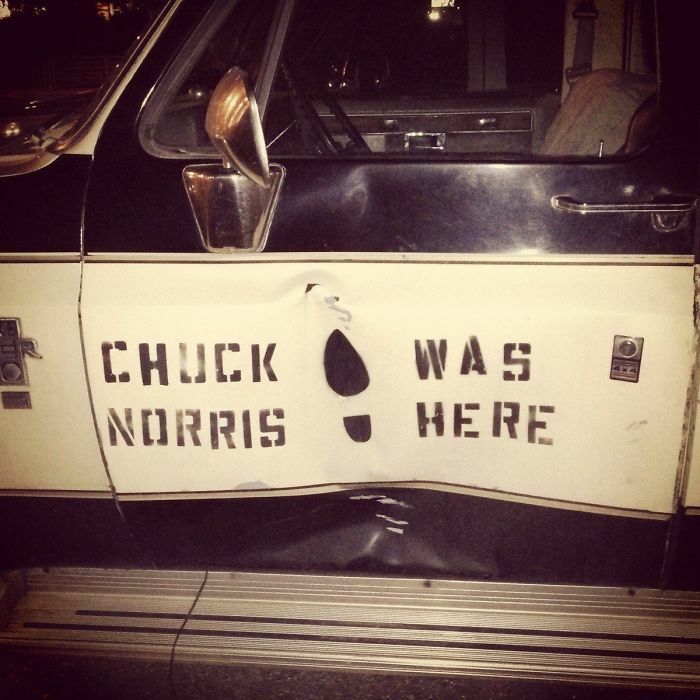 Or you can just write that Chuck Norris did it! 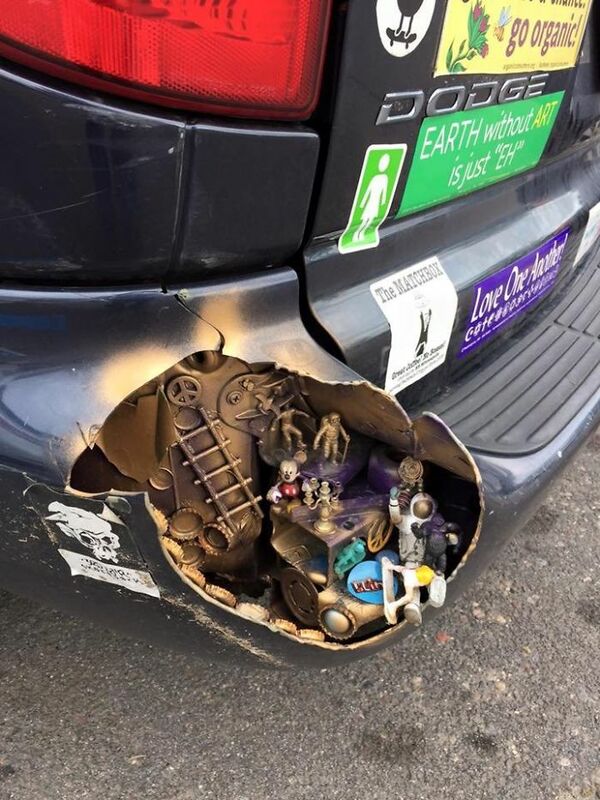 Scroll down below to check out a few imaginative examples below, and let us know what you think in the comments! 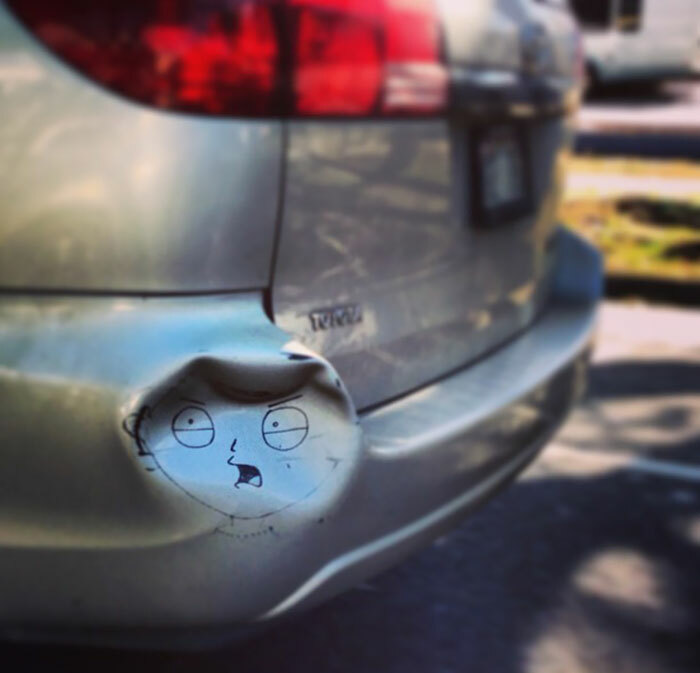 So be careful out there! 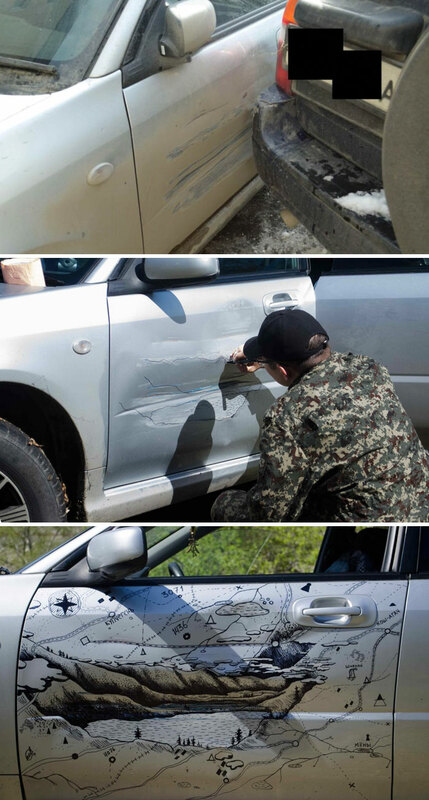 Luckily, these people suffered not much more than a bruised ego and some damage to their cars. 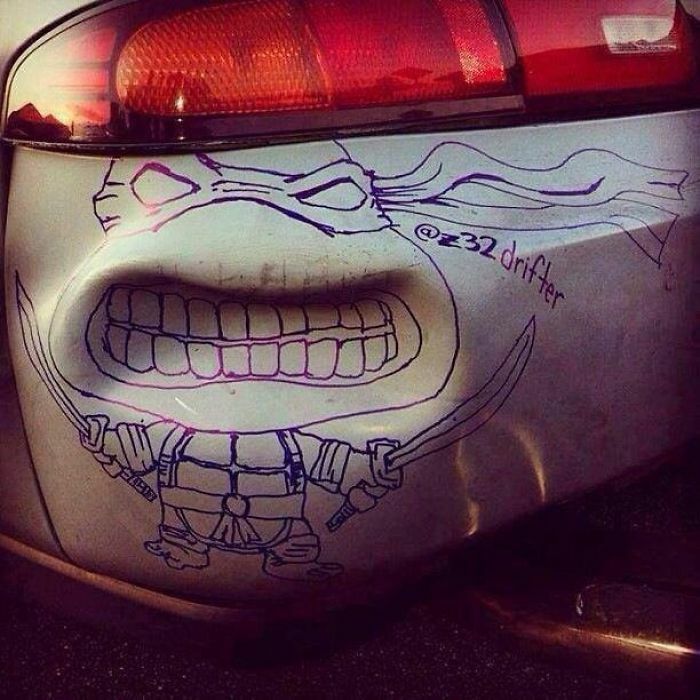 And although the cover ups are creative and funny, it’s still a good idea to take your car in for service to check for further mechanical or structural damage.